N1 partners - a team of respected professionals by nature who appreciate and rely on such principles as trust and safety in their work. The most experienced professionals will work with you. Their vast experience will help you achieve the desired results in a short time. We think much of our partners and offer them the best conditions. In addition, our managers will consult you on any issue you are curious about, tell you about the conditions, point out the advantages that you gain by working with us. For each partner we have an individual service. Join N1 partners Team and earn big money. 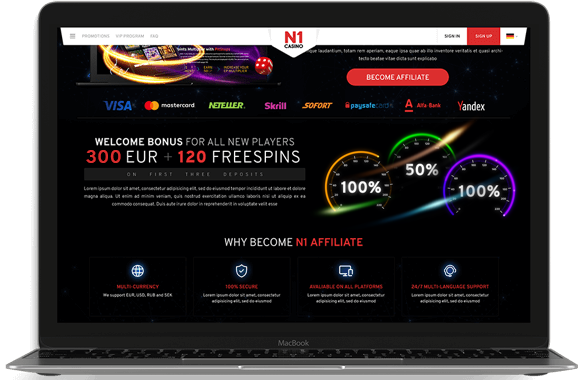 N1 Casino is made as a uniquely brand in the gambling industry which is truly popular among many players. This brand is the number 1! 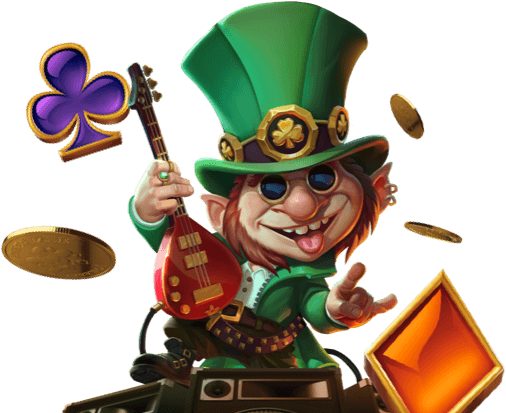 N1 Casino offers more than 2000 games provided by the well-known game providers like NetEnt, Microgaming, Amatic, Yggdrasil and many others. Not only the biggest selection of games, but also the hottest prizes are waiting for its players. This is precisely why there’re a great variety of VIP levels, weekly promotions and regular tournaments which will make player’s gaming experience even more enjoyable. At N1 Casino, we accept multiple currencies to ensure that you can easily play your favorite games. A wide range of secure payment methods is designed to make your experience as comfortable as possible. We are the first casino where the legends of boxing are integrated. The standards for your enjoyment are world-class. We proudly present the 5 times undefeated world boxing champion - Christina Ladyhammer, the century talent in boxing, as the face of our LadyHammer Casino. Thanks to modern software and technology, the highest level of protection of privacy and customer security, a wide variety of game concepts, innovative new releases and our highly competent customer support, you will always get the best possible gaming experience, security and guidance. 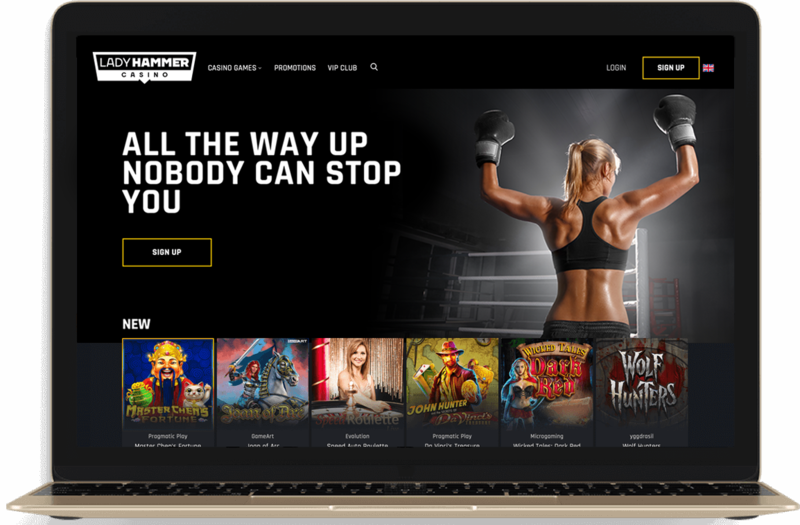 Lady Hammer Casino guarantees fair play and honest gaming, alongside it is also aware of responsibility towards players and society. In agreement with the President of the WBC Mauricio Sulaimán, the Lady Hammer Casino will donate 5% of their earnings to the WBC to support WBC charity programs. 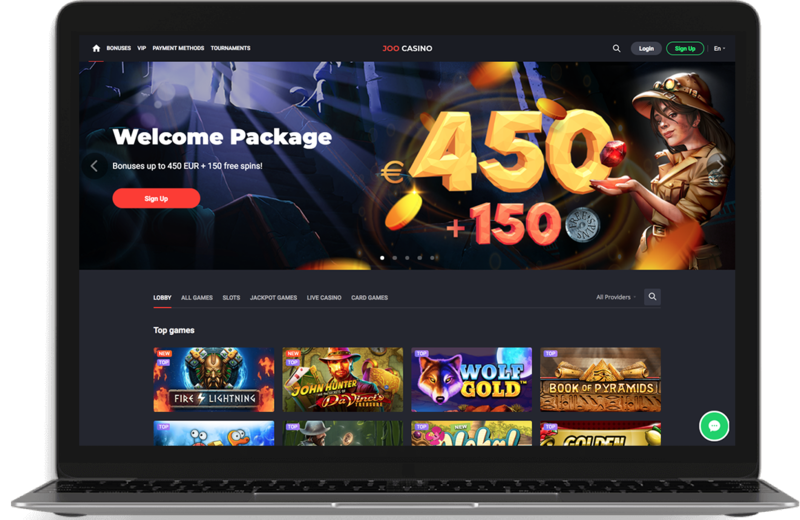 Our mission is to provide advanced players and newcomers with an unforgettable gaming experience in the most safe, secure and regulated environment. Casino fans now have an opportunity to enjoy the most realistic and seductive atmosphere of play and bet at Joo Casino at ease. Players can evaluate a wide variety of high-end games encompassing roulettes, slots, card games, and poker machines. Stay at home with a PC or play on the go on your tablet or smartphone – all of the games are mobile-friendly. Everyone will be able to find his absolute favorite and have fun while winning at Joo Casino. Generous bonus offerings and responsive customer support won’t leave even the most demanding players indifferent. N1 partners - a team of respected professionals by nature who appreciates and relies on such principles as reliability, trust and safety in their work. The most experienced professionals will work with you. Their vast experience will help you achieve the desired results in a short time. We think much of our partners and offer them the best conditions. In addition, our managers will consult you on any issue you are curious about, tell you about the conditions, point out the advantages that you gain by working with us. For each partner we have an individual service. Join N1 partners Team and earn big money. VERSION 1.1 IS EFFECTIVE FROM 24.05.2018 AND LAST UPDATED 01.11.2018. This is an agreement (“The Affiliate Agreement”) between you (“you” or “Affiliate”) and www.n1affiliates.com operated by Direx N.V., a company incorporated under the laws of Curaçao with registration number 131879 and registered address at Heelsumstraat 51, E-Commerce Park, Curacao. (“Company”, “us”, “we” or "Affiliate Program").